Boykin Spaniel This medium sized dog holds the honor of being the State Dog of South Carolina. Popular with hunters, they are tireless workers and have a cheerful character. Boykin Spaniels love companionship, both adult and child, and other dogs. Their coat needs only weekly brushing. more information on Boykin Spaniels. Brittany Formerly known as the Brittany Spaniel this dog is considered a good breed for hunting, show and companionship. Brittanys are strong and require a fair amount of regular exercise to keep them happy and alert. They have a dense coat that should receive regular brushing. more information on the Brittany. Chesapeake Bay Retriever This dog breed is recognized as the toughest of water retrievers. A medium size dog, the "Chessie" is powerful, courageous and intelligent. Its breeding has produced an able land and water working dog specialized to hunt waterfowl. more information on Chesapeake Bay Retrievers. Clumber Spaniel These affectionate dogs make great companions and are one of the few in this group that adapt well to living in the city. A hunting dog through and through, they do need some daily exercise, but tend to be slower moving than other spaniels. more information on Clumber Spaniels. Cocker Spaniel Also known as the American Cocker Spaniel, this dog breed remains one of the most popular pets. They are friendly with both people and other pets, are easy to train, and very affectionate. This breed should live indoors with its family! Their heavy, luxurious coat needs tending on a frequent basis. 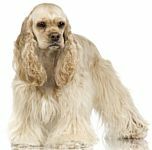 more information on Cocker Spaniels. English Cocker Spaniel Slightly larger, and needing more exercise, than the American Cocker Spaniel, this breed is equally suited as a family pet. Their coat is medium length and silky to the touch, needing frequent brushing. This gundog loves to hunt but should remain an indoor dog with daily outdoor exercise. English Setter This lively and affectionate breed of dog makes an excellent family pet as they are gentle in nature and get along well with children and other pets. Bred as a bird dog, these retrievers have a long and admirable lineage. Daily vigorous exercise is a must for these elegant looking dogs. more information on English Setters. English Springer Spaniel This popular hunting dog is adept at "springing" (flushing out) game in the field. They have both an outer and inner coat allowing them protection from water and thorny brush - but are soft to the touch. An excellent family dog, that needs daily, energetic, outdoor exercise and moderate brushing. more information on English Springer Spaniels. German Shorthaired Pointer This even tempered dog is extremely intelligent and affectionate. Bred as both a hunting dog and a family dog, they require daily vigorous exercise and human companionship. Their sleek short coat requires little grooming. more information on German Shorthaired Pointers. German Wirehaired Pointer Intelligent and strong willed, these pointers are excellent hunting dogs in the water and on land. They have webbed feet and a wiry coat that requires minimal grooming. Human companionship is vital to them and they need consistent, regular training and exercise. more information on German Wirehaired Pointers. Golden Retriever These are one of the most popular breeds of dogs, and for good reason. Adoring of human companionship and eager to please, these are devoted family pets. Powerful swimmers, these sporting group dogs are excellent retrievers and need daily exercise as much as they need daily love. They have a dense water repellant undercoat and do require regular brushing. more information on Golden Retrievers. Gordon Setter One of the first dog breeds recognized by the AKC (American Kennel Club), this is the heaviest dog of the setter breeds and is well muscled. Well suited as a hunting dog, they can go all day in the field - and as such, require daily strenuous exercise. Slightly more protective than other setters, they make very nice, loyal, family pets. more information on Gordon Setters. Irish Setter Also known as Red Setters, these large bird dogs have speed and stamina when hunting. Known for their extraordinarily beautiful red coats, they are happy go lucky and have boundless energy. Daily exercise is a must for these friendly, fun loving pets. more information on Irish Setters. Labrador Retriever The popularity of Labs is well known and deserved. These excellent hunting dogs make equally excellent family pets. Friendly and playful, they need daily vigorous exercise and plenty of things to keep them occupied throughout the day. Easy to train, eager to please, and adaptable to colder climates. A weekly brushing will keep them happy. more information on Labrador Retrievers. 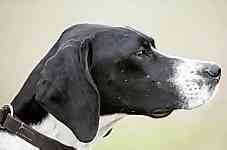 Pointer Also known as an English Pointer, this breed has tremendous stamina, and can hunt all day. As a family pet, they require large amounts of exercise. This is a gentle dog that loves human companionship and needs minimal care of its coat. They enjoy immense popularity as field trial dogs. Vizsla Also known as Hungarian Pointers, these agile and graceful dogs are excellent hunters and pointers. Needing a great deal of exercise every day makes this breed an ideal companion for active outdoor people. They need minimal care of their coat and require gentle companionship as they are sensitive by nature. Weimaraner These are excellent hunting dogs with tremendous stamina and energy. Well suited to living in the country, their silver gray coat is unique and gorgeous, and requires minimal care. They can make excellent family pets if well, and patiently, trained and socialized starting as pups. 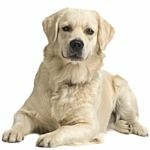 The American Kennel Club classifies dog breeds into groups - and the Sporting Group includes some of the most well known breeds of dogs, such as Cocker Spaniels, Golden Retrievers, and Labrador Retrievers. Dogs in this group were bred to work with hunters, both in the field and in water. Often referred to as gundogs and bird dogs, dogs in this classification are grouped into the kind of work they do: pointers, retrievers, spaniels and setters. The group is characterized by dogs that are high energy, alert, friendly and excellent companions. All of the purebred dogs in this group have a natural talent for hunting. Many of these dogs were originally bred to work with hunters before firearms were in common use. Spaniels, in this group, are used to help the hunter flush out birds. They are able to retrieve small game. The breed names of Spaniels in the Sporting Group are the American Water Spaniel, Boykin Spaniel, Clumber Spaniel, Cocker Spaniel, English Cocker Spaniel, English Springer Spaniel, Field Spaniel, Irish Water Spaniel, Sussex Spaniel, and the Welsh Springer Spaniel. Retrievers do just what their name says ~ they retrieve game (usually birds) after shooting. The breed names of Retrievers in the Sporting Group are the Chesapeake Bay Retriever, Curly-Coated Retriever, Flat-Coated Retriever, Golden Retriever, Labrador Retriever, and the Nova Scotia Duck Tolling Retriever. Pointers, like Retrievers, are named for their actions. They point out the game to the hunter. 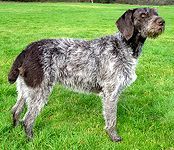 The breed names of Pointers in the Sporting Group are the Brittany, German Shorthaired Pointer, German Wirehaired Pointer, Pointer, Spinone Italiano, Vizsla, Weimaraner, and the Wirehaired Pointing Griffon. Setters are some of the oldest breeds in this group, and were developed to work with hunters using falcons and nets, before the advent of guns. These dogs went into a crouch, also called a set, to indicate that they found a bird. The breed names of Setters in the Sporting Group are the English Setter, Gordon Setter, Irish Red and White Setter, and the Irish Setter. This breed directory page features dog breeds that are members of the AKC Sporting Group.